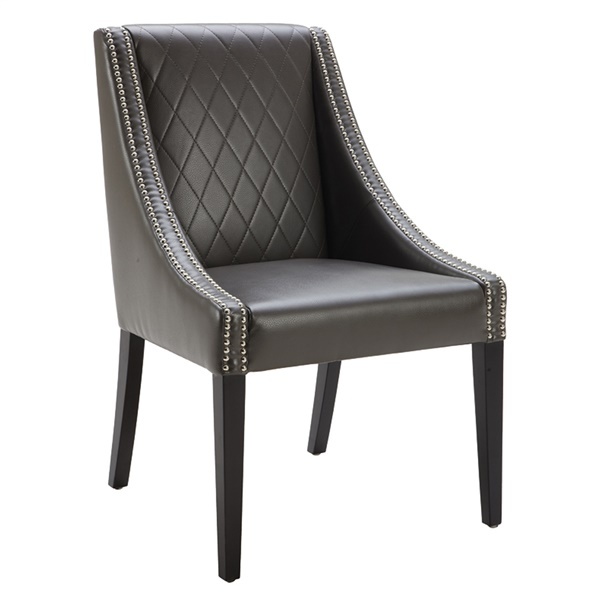 The sophistication of the Malabar Dining Chair comes from the classic design elements. This features some beautiful complementary accents, including elegant diamond stitching on the seat back and a double row of silver nail head embellishments along the sculpted track arms. The Malabar Dining Chair is also constructed with high quality materials, so you can enjoy its beauty for years and years to come.